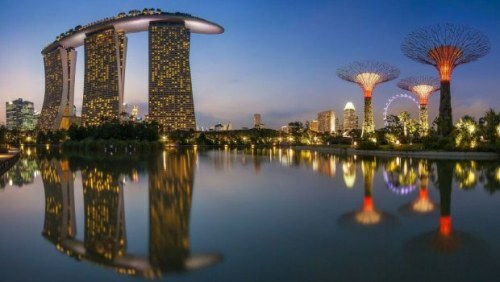 United Airlines and All Nippon Airways (ANA) are showing flights from Toronto to Singapore for $657 CAD roundtrip including taxes. It would be nice to see flights for this price that were operated by ANA (a great airline) in both directions. So far, the best I've seen are flights operated by ANA in one direction, and United Airlines in the other. However, even these flights are really rare. Update: There are a couple flights that are operated by ANA both ways for $700. NOTE: When you get to Momondo, there will be a ton of different results. The hard part is finding flights that are actually operated by ANA in at least one direction. Momondo will show the ANA logo for flights in both directions, but when you click through to Explore Trip, you may discover that the flights are operated by United Airlines. If it says 'Operated by UA' - then that flight is actually operated by United Airlines, not ANA. In one direction, you're flying ANA for the long part of the journey (the overseas flights). In the other direction, you're flying United Airlines. - Now, you need to scroll down through all the results and try looking for the departure times that I've listed beside each date. - You can also try using the 'Time of day' sliders on the left hand side to narrow it down to these departure times. Flights with United Airlines in both directions are quite a bit easier to find on a large variety of dates between September 2017 and April 2018 for $670 CAD roundtrip including taxes. Look for the dates that are around $724 CAD roundtrip. toronto, yyz, flight deals, asia, east asia, singapore, sin, united airlines, ana and all nippon airways. 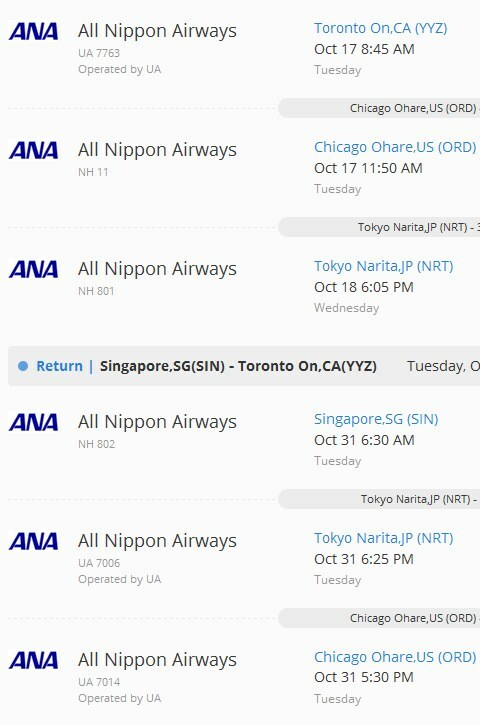 2 Responses to "Toronto to Singapore - $657 CAD roundtrip including taxes"
Yet another deal from this site! I booked Jan 2018 for four weeks $723. return. Thanks! Have a great time in Singapore Darcie!